Every weekend I'd try to write a post about a popular local snack or a seasonal fruit. 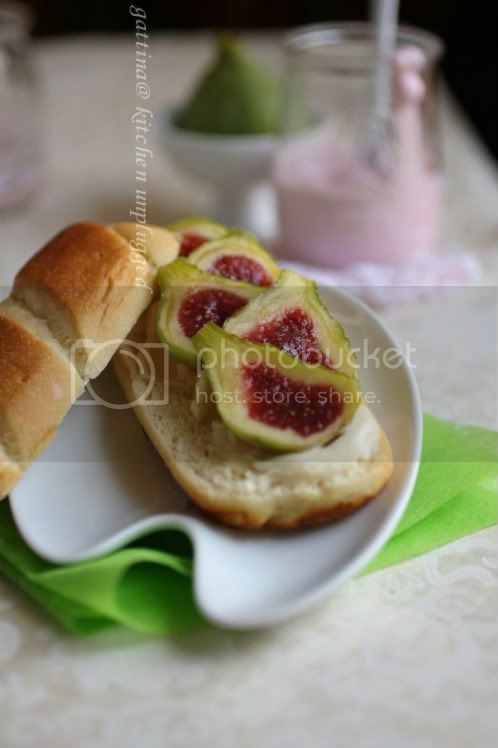 So here's my simple breakfast - a sweet bun spread with cream cheese, topped with green fig. Have a lovely weekend everyone!